Caramel icing takes time, but it’s totally worth the effort. Icing has been made like this for generations because it’s the best! A true caramel icing, I’ve learned, takes time. As you stand stirring the saucepan of caramel icing in the making, you’ll have an unusual moment of quiet – a chance to come up with ideas even better than your shower-time epiphanies. But, if you’re like me, thirty minutes of slow, repetitive stirring motion will hypnotize you. You’ll soon find yourself simply staring into the sweet confection, monitoring the reading on your candy thermometer as it crawls up and observing the thickening caramel with wide eyed wonder. The lines are somewhat blurred between frosting and icing (sometimes are terms are used interchangeably), but typically an icing is considered a topping that is hard and flat while a frosting has height and is light and fluffy. Do You Need a Candy Thermometer to Make Caramel Icing? I’ve tried so many times to eyeball doneness when making caramel icing and it never works perfectly. It is very important to use a candy thermometer! The caramel is done when it reaches the soft ball stage (about 235 F). If you don’t have a candy thermometer, you can test by dropping a small amount of caramel into water to see if it forms a soft ball (hence the name). However, it’s easy to miss the correct moment to do the test so I strongly recommend the thermometer. Does This Recipe Use White or Brown Sugar? This classic Southern caramel icing using white sugar. Brown sugar icing is called penuche. If you love the taste of brown sugar, my brown sugar icing is great recipe to try (and, it’s easier than this one!). Can This Icing Be Made Ahead and Refrigerated? 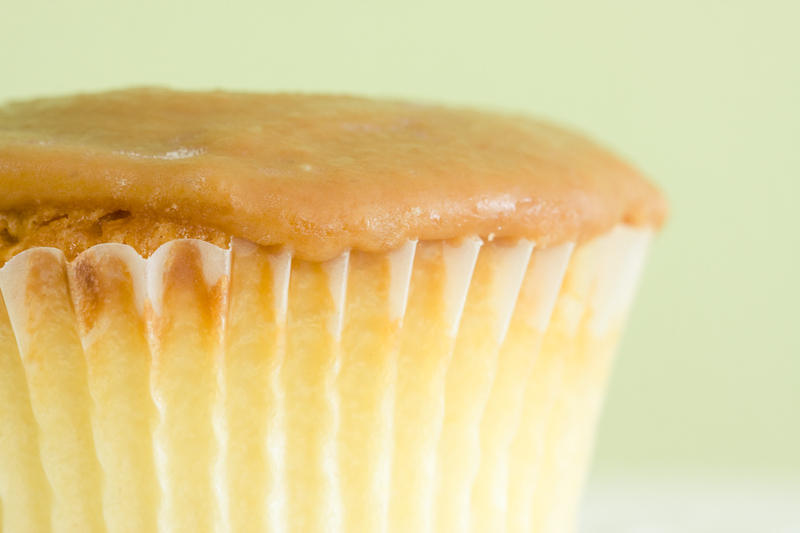 In order to spread caramel icing on cake or cupcakes, it needs to be warm. If you are making it ahead of time, you can leave it at room temperature until ready to use (I would leave it out for several days, but I’m not a food saftey specialist). Then, warm on low heat in saucepan, stirring until smooth before using. What is an Easy Way to Make Caramel Icing? I love using this caramel icing on my caramel cake cupcakes. It is also amazing on vanilla cupcakes or chocolate cupcakes! An authentic caramel icing with no short cut to great flavor. Keep stirring until liquid dissolves. Spread on caramel cake cupcakes (or anything). I got the caramel icing recipe from My Yellow Bluff. I looked at many, many recipes and this one struck me as the most authentic. I am reprinting it here with a bit more detail and my notes. If you are looking for a a super easy caramel recipe, you might want to try my dulce de leche in a crockpot. It doesn’t get much easier than that recipe and it’s still really really tasty!